ghd's Smooth Styling Gift Set is the ultimate gift this Christmas! 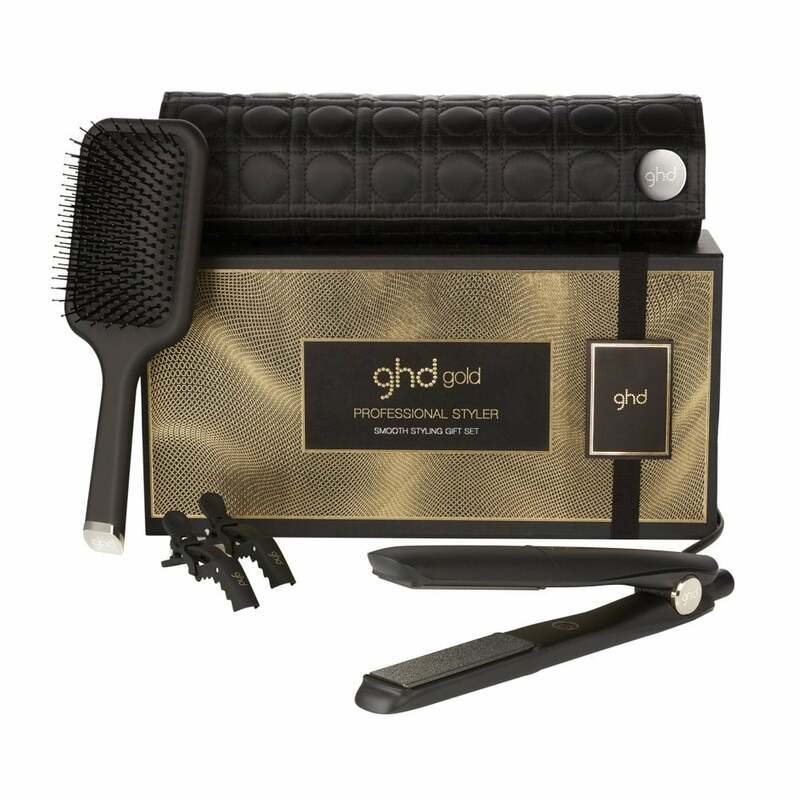 This gorgeous gift box contains a complimentary selection of ghd's best-selling products, including their iconic Gold Styler, which is sure to go down a treat under the Christmas tree. 1 x ghd Gold Professional Styler Black - delivering exceptional, salon-style results, this styler is the go-to for countless professionals across the country. Dual-zone® technology maintains a safer-for-hair heat constantly and evenly from root to tip whilst advanced sensors in each plate ensure the optimum temperature is maintained consistently across the plate. Smooth, contoured floating plates glide through hair for quick frizz-free styling and enhanced shine whilst the sleek design & round barrel provides versatile, snag-free styling. Perfect for use on all hair types, this straightener is suitable for worldwide usage and shuts off after 30 minutes of non-use. Supplied with a three pin UK plug & a salon-professional 2.7m swivel cord. Justmylook is a fully authorised ghd stockist and the styler is guaranteed for two years. The packaging is brilliant. It's difficult to rate the product as it is a gift. Very pleased with my new ghd.They were delivered on time.Many Thanks. Very good straightener. Lasts up to a week after straightening. Made a lovely birthday present for my daughter. Lovely, quality set! Product is what it is GHD what's not to like! Great service and best price I could find. I will definitely be checking out the site for other things. Seems great so far. Used to straighten and curl my hair. The heat proof mat and case are great too. All excellent quality. Very impressed with price on here. It beat everywhere else online by quite a bit!